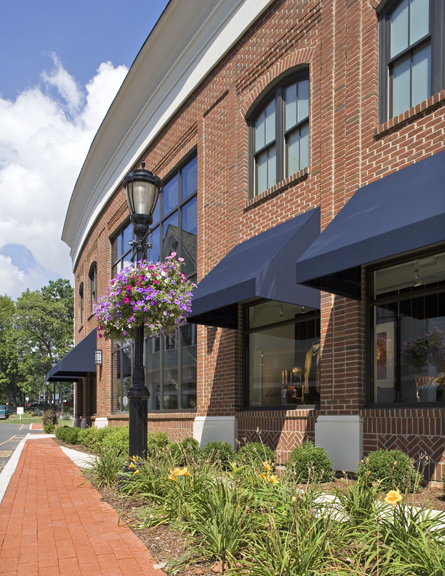 This project was part of a larger proposal to develop six underutilized properties in the heart of downtown Darien. By looking at these properties as one larger parcel, we were able to come up with a plan that was beneficial to each of the property owners, and that proved to be an important addition to the revitalization of the central business district. Our design includes three new buildings, a shared parking lot, a small park and a monumental staircase providing access to the Darien train station. In addition, it provides pathways that reinforce the connection between the Post Road and the recent expansion of the shopping district onto Grove Street. Each of the three new buildings was designed in a different style, to give the impression that the development had evolved over time. 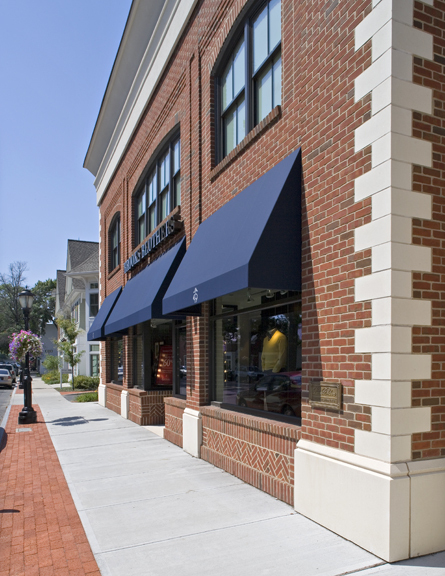 The Brooks Brothers building is a two-story brick building with a full basement, enclosing approximately 13,000 square feet of retail space. The masonry façade is articulated through the use of corbeled brick, herringbone panels, and precast concrete quoins and bases for each of the piers.